Last week, from May 7-11th, Ubuntu community members from around the world came together in Oakland for the Ubuntu Developer Summit. Partimus several representatives were able to attend, including Board Member Grant Bowman took the opportunity during the lightning talks session on Friday to present on Partimus. Good afternoon! My name is Grant Bowman. 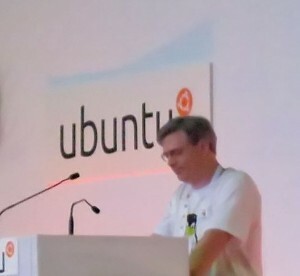 First, I want to thank Ubuntu for choosing this UDS location. It’s very exciting to have you all here. I’m a local. I would like to plug all the hard working San Francisco Bay Area groups I am privileged to be involved with but I need to highlight just one right now. Even in these times of financial challenges, school district administrators, principals, teachers, parents and students still clamour to allocate a very significant amount of their overall resources to the purchase of poorly made computing products. This is directly due to public misconceptions. With a foundation of education these misconceptions can be changed. As far as design & usability, Ubuntu is now leading the state of the art rather than following. We are experiencing a innovative, disruptive computing transition as described by Clayton Christianson in his book The Innovator’s Dilemma. Poorly made computing products guarantee vendors upgrade sales. This contrasts with how we do things. As Eric Raymond describes, we are able to scratch our own itches and share our improvements for mutual benefit. We operate in the open in a bazaar style. Closed source vendor lock-in creates a cycle of dependency in hearts and minds of all ages just at a time when students are looking to authority figures to show them how best to move forward. *We* know that free and open source specifically and Creative Commons more generally are game changers. Tim O’Reilly calls us alpha geeks. The public is slowly becoming more aware. The significant resources closed source vendors direct at our common future are shaping the computing platform choices we and our neighbors use both publicly and privately. The longer we wait the worse this problem becomes. As we know, now is always the best time for engaging. We would like to contribute back our hard won lessons, build our capacity and replicate our best practices in similar environments. In the 1970s Dr. Douglas C Engelbart called this structure a set of improvement communities. His papers are well worth reading to this day. Oh, wear sunscreen. Thank you very, very much. Thanks to Grant for taking this opportunity to spread the word about Partimus! This was written by Elizabeth Krumbach Joseph. Posted on Saturday, May 19, 2012, at 7:13 pm. Filed under News. 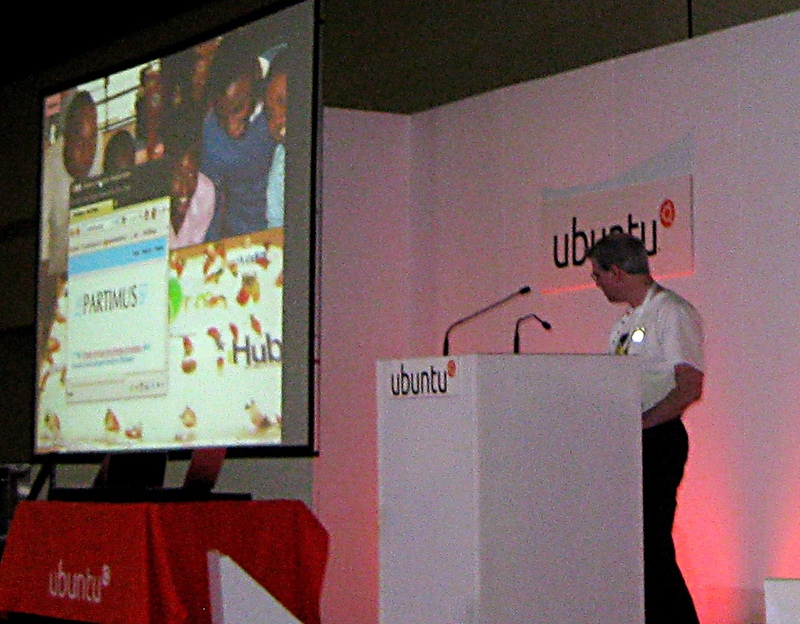 Tagged Grant Bowman, Talk, Ubuntu, UDS. Bookmark the permalink. Follow comments here with the RSS feed. Post a comment or leave a trackback.